This is another one of Chrissy Teigen's yummy recipes from her Cookbook, Cravings. So far, every recipe I've made of hers has been really good. This one for seared scallops, I'm in love with. I've made them several times because it's so quick, easy, healthy and delicious. I've made these with fresh and frozen (thawed) scallops. 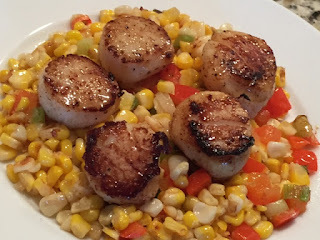 I like the convenience of having scallops in the freezer but fresh is best. Just make sure the scallops smell sweet and good. In a large heavy skillet, heat the butter over medium heat. When it foams, add the corn, bell pepper and green onion. Saute, tossing lightly about 5 minutes. Season to taste with the salt and black pepper. 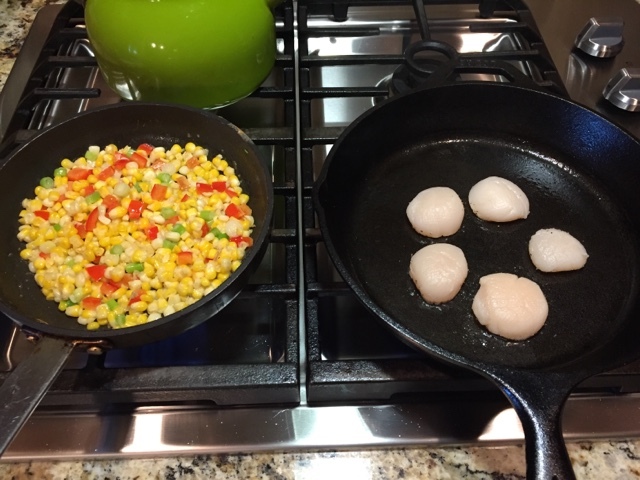 While the corn sautes, sear the scallops and they'll be done at the same time. Rinse then Pat the scallops dry with paper towels. Don't salt and pepper just yet, it makes the tops wet. This is a pretty important step. You want the scallops to caramelize, not steam. Serve with the warm corn salad. *With it being corn season, I'll buy a dozen at the farmers market, cut the corn off the cob and freeze it. Great to use for recipes like this. **Fresh scallops are better if you can get them but I really like having a bag of frozen scallops (from Costco or Trader Joe's) for a quick lunch or dinner. 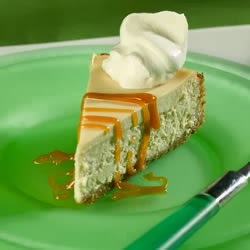 Easy to half the recipe and make for one.